In the competition's 10th year, 221 submissions for warming hut ideas came from from 57 countries, organizers say. 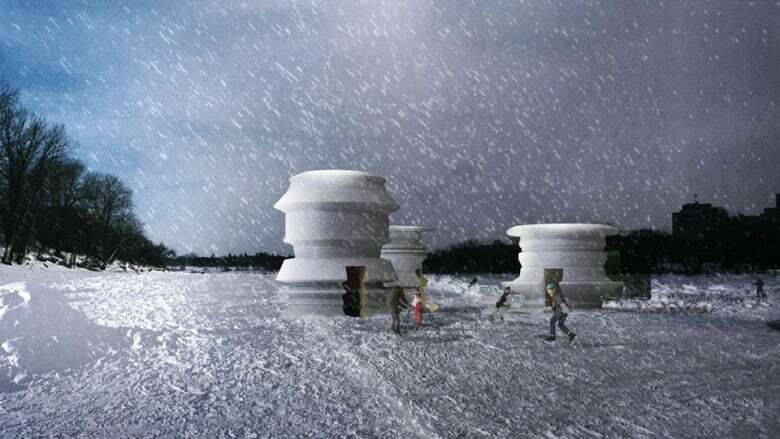 Snowmen made from foam and plaster, and topiary-inspired sculptures made from snow — the warming huts that will line Winnipeg's frozen Red River in 2019 were unveiled Friday. This year, as the annual competition turns 10, the panel selecting the winners received 221 submissions from 57 countries, from which they picked just three winners, said Peter Hargraves, the event's producer. Even with the stiff international competition, the jury — which isn't given any information about who the proposals come from — still picked a submission from two Winnipeg artists. Winnipeg's Jennie O'Keefe and Chris Pancoe designed Huttie, an anthropomorphic, funhouse-inspired warming hut. "It's a huge win for us," O'Keefe said. "We put together a design for something that we love and participate in every year since its inception." The hut is "inspired by the retro cult children's T.V. series H.R. Pufnstuf," according to the artists' statement on the warming huts website, and will invite visitors to enter through the hut's "mouth." Once inside, they are "encouraged to relax and seek warmth on a plush gliding tongue while taking in the psychedelic cascading interior." "It was family-friendly, but also to have a little bit of humour and maybe a little dark humour as well," said Pancoe. "There's a slight creepy factor to Huttie, but also really fun." 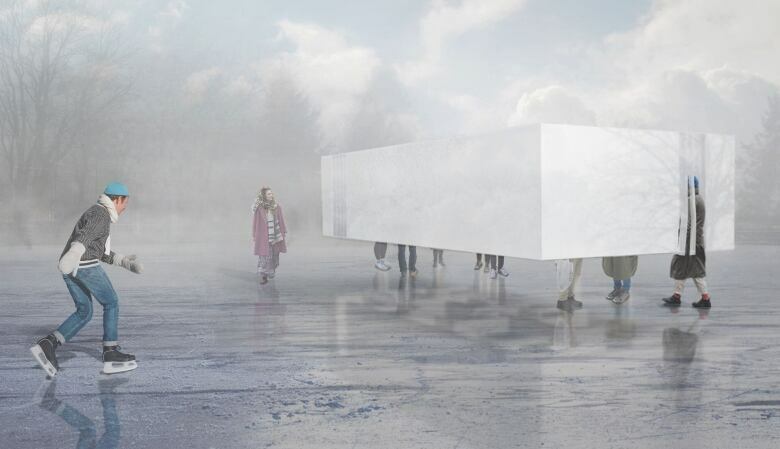 The other competition winners include Berlin-based NAICE Architecture, which designed Hoverbox, described as "a large white box [that] hovers over the ice," and will invite visitors to enter "a labyrinth turned upside down by way of one of the two narrow openings leading inward." Visitors will wander around "optically cut off from the outside world" and only able to see the legs and feet of other visitors, the entry reads. There are benches throughout the box where people can sit and rest while "holes in the walls next to the benches invite visitors to spy on their surroundings." ​Jaemee Studio from Jersey City, N.J., won with their colourful design Weathermen, which will involve hollow, snowman-like structures from five to 10 feet (1.5 to three metres) tall in which people can warm themselves. Those huts will join two created by designers invited to make huts. Each year, a warming hut spot is designated for the University of Manitoba's faculty of architecture, which dean Jonathan Beddoes says gives students the chance to bring their designs to life. 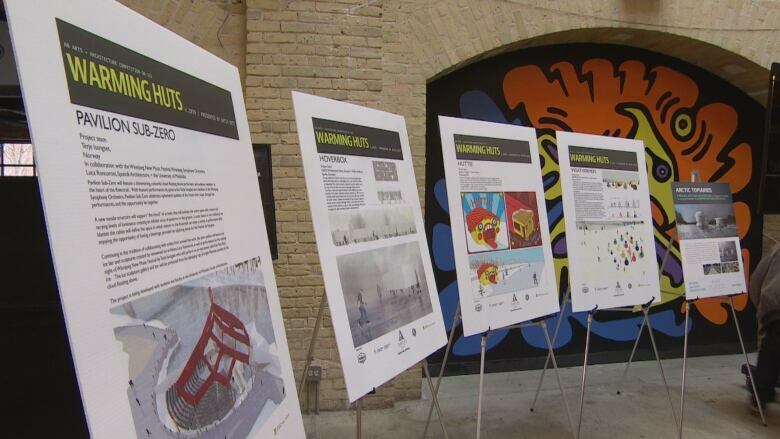 "They also face down the challenge of getting it onto the Red River skateway, regardless of whatever a Winnipeg winter can throw at them," he said. Loosely based on the design of a star blanket, it will be a "tensile structure [that] will support 'the cloud' of screens that will animate the entire space with colours and varying levels of luminance, creating an infinite array of patterns on the ground," the designers say. 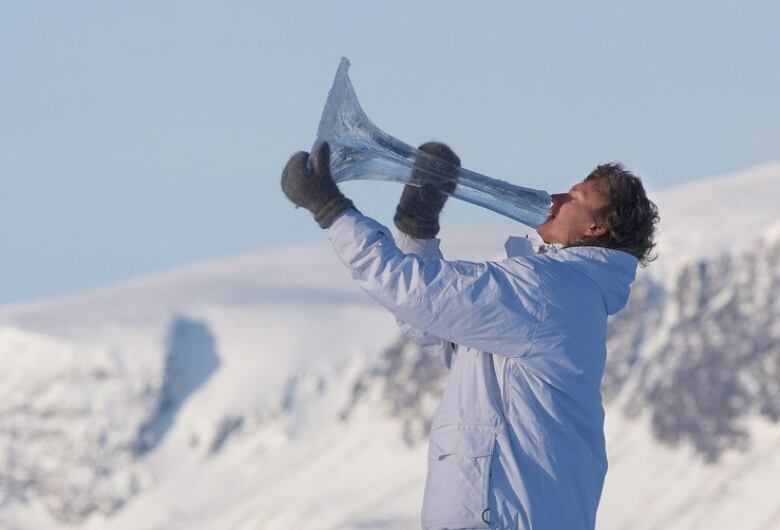 And competition organizers have also invited "ice musician" Terje Isungset — a Norwegian musician who builds his own instruments out of ice — to perform at the U of M-designed hut along with the Winnipeg Symphony Orchestra during the New Music Festival. 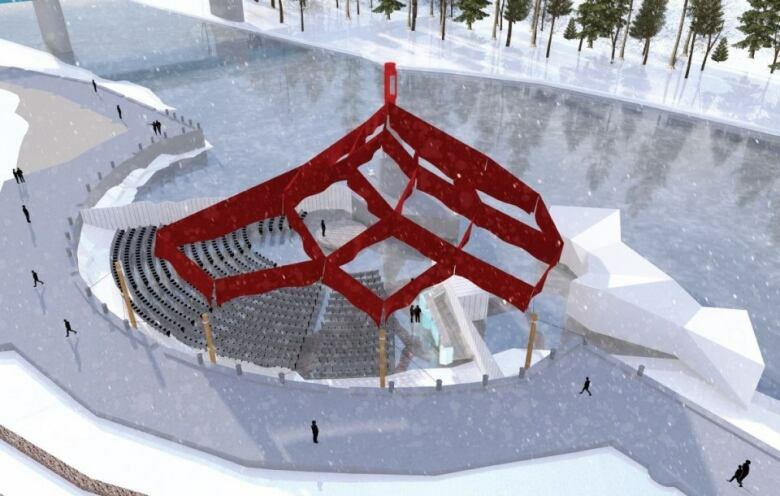 There will be an additional hut this year, designed in a partnership with the Winnipeg Art Gallery and Michael Maltzan Architecture, which designed the Inuit Art Centre. The Los Angeles-based firm will be creating carved snow topiaries, dubbed Arctic Topiaries. 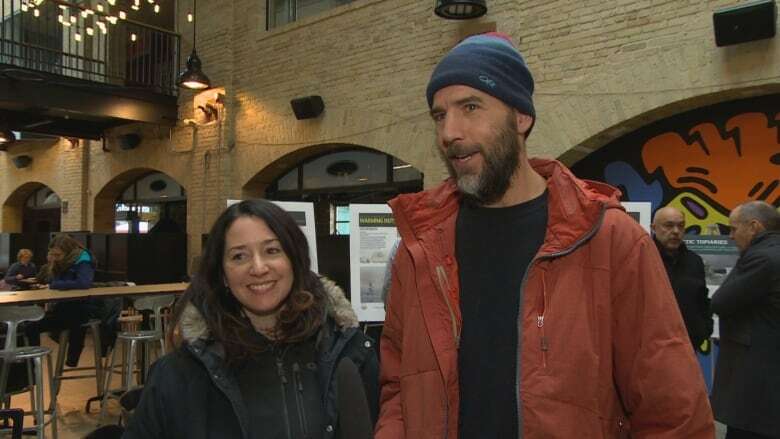 In addition, Darrel Nadeau, Festival du Voyageur's executive director, says the festival will have expanded activity on the Red River Mutual Trail this year, with activities running throughout the winter. In addition to operating the bar at Pavilion Sub-Zero, the festival will bring activities including snow sculptures, music, and snowshoe races. Paul Jordan, CEO of The Forks, said the attendance and sales numbers at the site in February — one of Winnipeg's coldest and darkest months — rival its July numbers. "Warming huts and the river trail have become an international enterprise. People are looking at us from all over the world," Jordan said. "Great credit to Winnipeggers who are realizing winter is nothing to be afraid of, in fact winter is an asset." But Hargraves said the huts continue what's been happening at the forks of the Red and Assiniboine rivers for thousands of years. "In the early years people used to say the river trail and the warming huts were putting Winnipeg on the map. I always was a little uncomfortable with that," Hargraves said. "For 6,000 years, people have been gathering here," he said. "But what the river trail has done is extended a tradition of gathering. It's been really great to be a part of a project that brings people together."